Technology platform tend towards monopoly. Whether physical or virtual, platforms provide a level playing field for other actors to use to their advantage. The predictability of monopolies allows other actors to plan for the future, and the technological stabilization they present make the road ahead a lot less frightening for most involved. Monopolies cannot and do not “charge whatever they want” — they price their goods so that they capture a portion of the value they provide that is still low enough to deter other potential competitors from entering the market. Markets fail through either lack of empathy or lack of understanding. Lack of empathy occurs when the monopoly is blind to the political concerns of other stakeholders, and they therefore use their power to break the monopoly. For instance, in the United States, the left-of-center turned strongly against the physical sciences after the Vietnam War, at the same time at the right-of-center was agitating against government control. The Bell System, by continuing to fund physics research while relying on government control of rates, thus back unempathetic to other actors, and was broken up. General Motors was a much more empathetic monopoly. They encouraged the growth of the United Auto Workers, allowing both the capital and labor sides of the organization to strongly influence the Republican and Democratic parties, respectively. GM cleverly overcharged for their products, allowing niche competitors such as Ford and Chrysler to survive (and providing a veneer of competiton), while keeping those marginal companies captive through the threat of lower prices. Indeed, GM as an organization was so empathetic that management and labor was bailed out by the Bush and Obama administrations! Unfortunately for GM,the shock of high oil prices lead to a decline nonetheless. In the US education system, the Teachers Front Organizations opeated as a monpoly for nearly a century, until being replaced by the federal-academic complex.The reason was both lack of empathy and an external shock. The lack of empathy was exhibited primarily from the Teachers Front Organizations’ lack of concern with State power or Employer’s seeking workers that can be hired. The external shock was first the sexual integration of the American workplace, followed by globalization. I imagine that if either of these things had not been there — if the Teachers Front Organizations had not been lacking in empathy, if the workplace had not been integrated, or if globalization had not occured, the Teachers Front Organizations would stil be the platform monpoly in the US educational system. If the workforce had not been integrated, teaching would not have suffered from the lobotomy of low wages, as the sexism discount would have still brought many high-performing women into teaching. Likewise, if globalization had not occured, large employers would not have faced the stress of tring to hire a proportionate fraction of their labor force in the United States while facing a disproportionate incompetent labor force in the form of public school graduates. The consequences of this failed monopoly are as hard for teachers as the failure of the Bell System or GM where for their stakeholders. The teacher leadership in the United States has left everyone — including teachers — down. While reading more about education reform, I came across this post by my friend Mark — “Two Links on Political Economy” — that in term referenced to articles by John Robb, “BOW-TIE CONTROL SYSTEMS,” and “JOURNAL: Global Financial Cancer. While John’s rhetoric is typically melodramatic, he uses the terms “bow-tie” and platform” to refer to what I’ve called a “bank” and a “central actor.” I like the term “platform,”so I went back to understand where else I’ve used the idea on the blog. 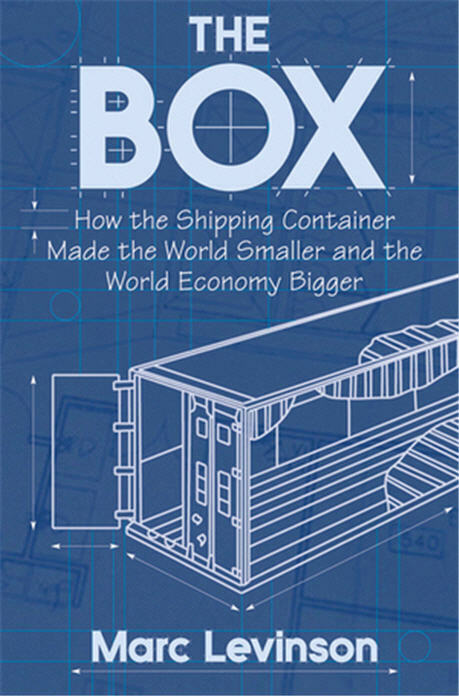 Some time ago I read The Box, Marc Levinson’s excellent history of the shipping container. The Box reads like a third appendix to Nature’s Metropolis, a debt that the book acknowledges. It is a fascinating description of the importance of platforms in business. And it describes the different responses of labor bosses to ‘the box’ (containerization), and how those responses shape lives today. If you want to see how a technology you take for granted shapes the world, definitely read The Box! Nature’s Metropolis is a brilliant history of Chicago and the Great West. The book focuses on economic determinism, and how once men create a ‘second nature’ from capital, actions are compelled in the same way that would have been if that build world had been the ‘first nature’ of the place. For instance, rivers make certain transportation methods logical and are part of the first nature of an environment. Railroads make other transportation methods logical, and are part of second nature. Nature’s Metropolis ends with the establishment of the national railroad system. The Box picks up the story generations later, when the railroad system appears to be just natural, and a new second nature is about to be born. A few months ago I gave a standing-room lecture at my alma mater. I described the business of my employer as focused on platforms, the building (and selling) the infrastructure to allow other people to sell products. Platforms are the components that allow new things to be possible. For instance, wireless internet (WiFi), laptop computers, and HDTVs (TVs which double as computer monitors) allow you to repurpose any media from anywhere in the world as a ‘show’ for an extended family. This could not be done without any piece of the infrastructure — the mobile entertainment platform requires all these scaffolds. Likewise, containerization requires container-ready trucks, container-ready-ships, container-ready trains, and container-ready labor. Without any one of these, containerization is not profitable. I remember from a young-age hearing about the six-figure salaries of longshoremen on the West Coast. Little did I realiez that this happy payscale was because of wise leadership. While the backwards International Longshoremen’s Association opposed containerization as a threat to jobs on the East Coast, the wiser International Longshore and Warehouse Union (led by a former transportation-industry manager) took a wiser coast: an agreed upon fraction of savings from containerization would go to higher salaries. If only labor agitators in the education sector could be as clever as the ILWU! My recommendation? Read The Box. It is great introduction to economic history. It is the story of a technology platform that you may not even realize exists. And it a description of how smart unionism can lead to good lives for workers by understanding technologal chnage.